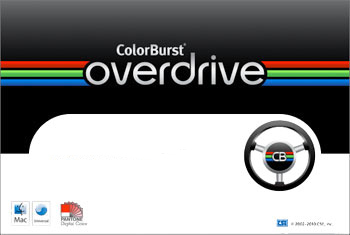 ColorBurst Overdrive unlike most RIP programs is compatible with virtually any printer hardware in the market. Thus allowing you to apply the benefits of the ColorBurst RIP workflow to your printer. Features include the full PANTONE® Color Library support, to screen image preview and ColorBurst's own AutoSpot™ technology for optimized PANTONE colors. . Copyright 1996-2016 Aztek, Inc. All rights reserved.